To figure out Trump's foreign policy philosophy, one has to go back at least two decades to the Project for a New American Century. If you take a trip back to the days where the neoconservatives reigned supreme in the George W. Bush White House and advocated and got their war in Iraq to topple Saddam Hussein, you will find a lot in common with today’s Trump administration. Particularly, with the relatively new addition of John Bolton as the National Security Advisor who was one of those Bush White House neo-cons. He was a member of the neo-con organization called the Project for a New American Century, which many saw as a main breeding ground for neo-con foreign policy ideology. More than 15 years after its peak influence, the organization has been forgotten, but its principles seem to be alive and well in the Trump White House. The Project for a New American Century was started 21 years ago in 1997 as a means to express criticism of President Clinton’s foreign policy initiatives, but it had other expressed philosophical goals. The group, originally formed by William Kristol and Robert Kagan, promoted the belief that American leadership was good for the world and had to be promoted. These beliefs align with Trump’s “America first” mantra. The cornerstone of Trump’s foreign policy seems to be shredding agreements that do not meet his standard of “America first.” Whether it be the Trans-Pacific Partnership, N.A.F.T.A., or the Iran nuclear deal, Trump has been expressing a specific vision of a future that America is still leading the world, both militarily and economically. This was something articulated by the Project for a New American Century. The group advocated tearing up old agreements that it felt were outdated and no longer met the demands of modern security risks in exchange for carving out new and better agreements. John Bolton was a director at the Project for a New American Century and seems to be carrying the neo-con torch into a new Republican administration. 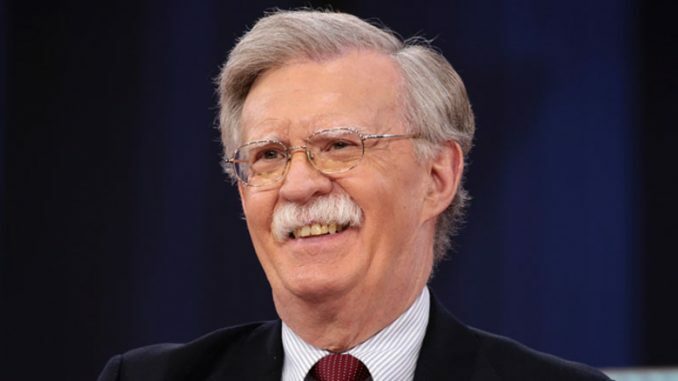 Bolton, who advocated with the group for the overthrow of Saddam Hussein in Iraq, has been met with much criticism with his new role as National Security Advisor. He was also firmly against President Obama’s signing of the Iran nuclear deal. It is interesting to imagine how much Bolton’s and Trump’s thinking align, or how much influence Bolton will have in the White House. White House watchers will keep an eye on how Bolton’s relationship with Secretary of Defense James Mattis and Mike Pompeo over at the State Department evolve. The similarities between the Trump administration and the Project for a New American Century are intriguing because Trump in many ways is a philosophical anomaly that is difficult to label. Given his views about America’s role in the world, however, he would find a home at the now defunct Project for a New American Century. The neo-con view of America’s role in the world still remains alive and well. And so is the bad taste from a costly and unpopular war.